here is only so much that can be learned from a photo but appreciate all advice offered. It's not in such a state it would dissuade me from buying. I would put it on my short list of things do you. There are atmospheric and mod cons that are much more efficient than what's there. Coupled with an indirect water heater and ODR, it would be a nice project. I agree with @HVACNUT . It looks ok, not sure of it's age. If you like the house buy it. Then budget for it's replacement. My boiler is 33 years and counting. I also agree with the ^^^^^^. You can also take a good look to see how often the boiler has been serviced. 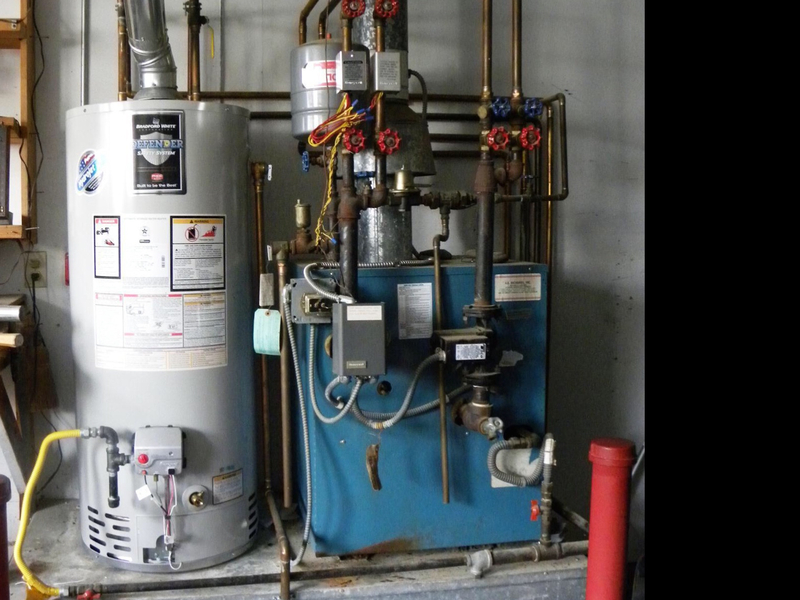 The picture shows that the boiler appears to have service tags on it. Thank you. All of your opinions are very much appreciated. The owner claims the unit was last serviced 4 years ago.